Save water to save, Millions of life..!!! Three monkeys escaped from the zoo,one was caught watching TV, other playing hockey and the third one caught like this.#Mysore Zoo, Karnataka,India. 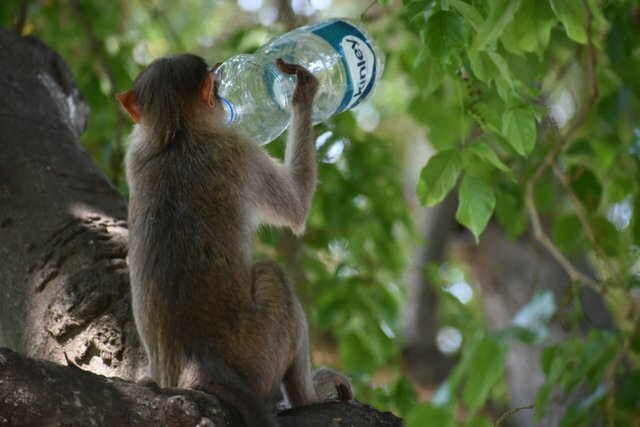 Even you will find monkeys drinking coke and thumbs up while walking through elephanta caves. Hello @nagraj0690! This is a friendly reminder that you can download Partiko today and start earning Steem easier than ever before!